Want it by Wednesday 24th April? Order within 2 days, 22 hours, 25 minutes and choose Next Working Day - Kerbside Delivery (Order Must be Placed by 2pm) at checkout. Fibreboard underlay is perfect for installation under your floor to help improve insulation, dampen sound, and to help level uneven subfloors - though we’d always suggest that you make sure your subfloor is completely level before laying an underlay! 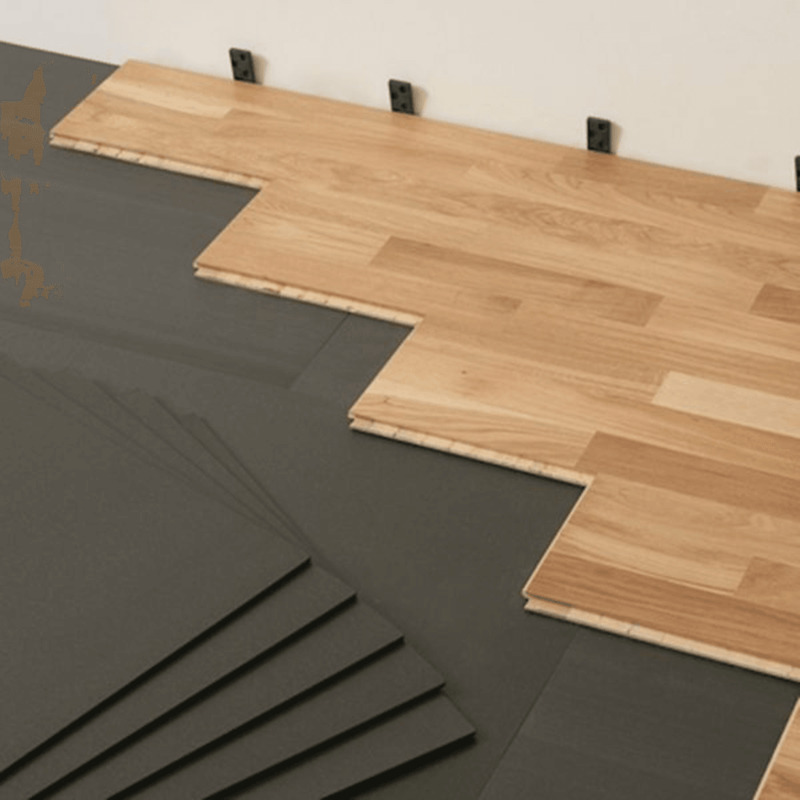 Fibreboard underlay is a premium natural insulating under floor board for use with all laminates and glue-less woods where a floating installation is required. It comes in "tiles" which cover an area of 9.76m2 per pack. Each board is 5mm thick which helps with sound reduction, and this underlay is perfect where sound reduction is needed. For example, in rooms with high ceilings, or apartment buildings with neighbours underneath. This underlay shouldn’t be laid on concrete, as it doesn’t contain a moisture barrier. Concrete subfloors will generally leak moisture over time due to the nature of the material, and you’ll need a special underlay with a moisture barrier for a concrete subfloor. For more information, check out our guide, Why You Need To Underlay Your Floor. Good item. Easy to use. Easy to cutting. The quality of underlay from Discount flooring is really good quality. It's a must buy superb. I am no expert on underlay, but our fitter seems very pleased to be using this product. So I think that says it all.